US officials are currently engaged in peace talks aimed at reaching a political settlement with the Taliban, driven by a desire for peace and security in Afghanistan, with the support of regional neighbors. 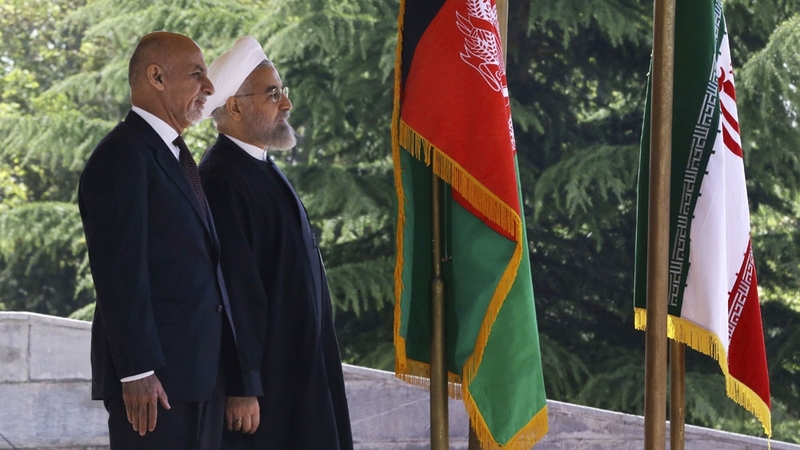 This article focuses on Iran’s role in promoting peace in Afghanistan due to its proximity and its interests in the country. It tries to answer questions about the extent of Iran’s presence in Afghanistan, the scope of its interests and their prioritization. In addition, it focuses on the Iranian regime’s position toward the Taliban and the Afghan government. The situation in Afghanistan is one of the most important political and security challenges facing Iran today. Whilst it poses a threat to Tehran, given the presence of US forces, drug trafficking and refugees, the situation also provides opportunities to the Iranian leadership. For Iran, Afghanistan provides an opportunity to extend its influence, enabling the regime to put pressure on US forces stationed there and to coordinate with Afghan extremist groups. Tehran is also pursuing with the Afghan government an agreement on a joint project to transfer Turkmen gas and to extend the route for transporting Iranian gas to India through Afghanistan. This will include implementing China’s One Belt One Road initiative to deliver Chinese trade to Europe through Afghan territories, which Iran hopes will ultimately boost Afghanistan’s development and resolve the crisis posed by a large number of Afghan refugees living in Iran. Iran’s primary objective is to ensure that the Hazara Shiites have a distinctive political and social status that will enable Tehran to replicate the Lebanese Hezbollah model in Afghanistan, both to ensure permanent Iranian influence there and to reduce or even eradicate the US presence in the country. For this reason, Iran does not oppose the peace process in Afghanistan but rather seeks to direct it in a way that serves its interests and to participate in it in a way that boosts its influence. While both Russia and China agree with the Iranian regime’s broader objectives in Afghanistan, they are not supportive of a Hezbollah model there, although they may have no problem if this happens as long as their other goals are achieved, such as the implementation of their economic projects in the region and the removal of US forces and Western forces generally from Afghanistan and Central Asia. For Iran, the Taliban provides a useful means for achieving its goals. Tehran has, therefore, strengthened the Taliban and provided it with weapons to weaken the US in the country. Despite the regime’s declarations of hostility to the Taliban, realpolitik now overrides any other factors, meaning Tehran is now a key supporter of the movement. Iran’s support for the Taliban has become more evident in recent years, with the Chief of Staff of the Afghan army, Gen. Sharif Yaftali, stating in 2017 that he had evidence of Iran supplying the Taliban with weapons and military equipment. The US Department of Defense last year submitted a report to the US Congress entitled “Improving Security and Stability in Afghanistan,” in which it was stated that Russia and Iran provide military and logistical support to both the Taliban and its Haqqani affiliates. Through this support, Iran has been able to reduce the threat posed by US forces — and it was boosted by the US announcing its intention to withdraw its troops from Afghanistan. At the same time, Iranian support for the Taliban has resulted in a new alliance that has enabled Iran to carry out terrorist operations via the Taliban. Another key factor for Iran in the mediumterm is to empower Afghan Shiites to lead the political process. Given the nature of the political system in Afghanistan, this objective cannot be achieved in the short term, with the presidential system preventing minorities from attaining the majority of power in the country. Afghan society is made up of several ethnic groups, led by the Pashtuns, followed by the Farsi-speaking Tajiks, who are also Sunnis. The number of Uzbeks, also predominantly Sunni, is almost equal to that of the Shiite Hazara. Although statistics vary, none have the Hazaras as more than 12 percent of the population. Despite this small number, Iran seeks to reach its goal by maximizing the sect’s political role and by bringing back the Iranian-trained Afghan Fatemiyoun Division from Syria, where it has been fighting for Assad and Iran, to act as the Hazaras’ military wing in Afghanistan. Iran began its moves to strengthen the Hazaras in Afghanistan from the earliest days after the 1979 revolution, with the then-parliamentary head the late Hashemi Rafsanjani receiving a delegation of Afghan Shiite clerics in 1983. Iran has declared its support for them since 1998, when a statement was issued by the Clerics Union of Qom in support of the Hazaras. Controversially, it accused Pakistan of assisting in the massacre of Afghan Shiites in the cities of Mazar-i-Sharif and Bamyan. Another factor influencing Iranian policy in Afghanistan is the position of regional states, particularly Pakistan and Saudi Arabia, whose objectives are at odds with those of Tehran. If Iran succeeds in achieving its goals in Afghanistan, the country will become another base for Iranian influence, upsetting the delicate balance of power in South and Central Asia, as well as furthering its incursions into the Arab world and making the prospect of any real peace a distant dream.